“Faster than a speeding bullet. More powerful than a locomotive. Able to leap tall buildings in a single bound. Look! Up in the sky! It’s a bird. It’s a plane.” It’s Kaya Consulting ! your superhero ready to fight villains. 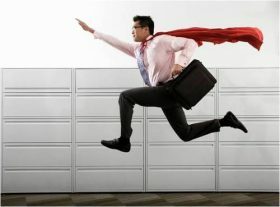 In every project you will encounter this person: “The hero professional”. That consultant, developer or project manager that goes the extra mile to deliver on time, fix that bug or work late to make sure everything is ready. Of course you might get charged for the overtime, but that is nothing in comparison to the effort they deliver. I too sacrificed holidays and new year eves and burnt many gallons of midnight oil just to meet a deadline. And for me it was a normal thing to do. “Every hero requires a villain”, it’s a quote from mission impossible. This movie is very popular among project managers. Some, even today, still use the theme of mission impossible as their ringtone. So who is the villain in ERP projects? – Is it the project manager who makes the people go that extra mile? I.e. if a good planning would have been made, then this extra mile wouldn’t be necessary. – Is it the sales guy who promised too much to the customer? I.e. everyone can sell a Ferrari, for a thousand dollars. – Is it the customer who is debating if this functionality is part of the fixed price project as well? I.e. vague requirements can work against you but also for you? – Is it the contractor who is refusing to do that extra mile? I.e. if the contractor doesn’t get paid to go that extra mile, why should he? All of the above are arbitrary and cannot be judged without knowing the right context; maybe a project got sold for less then cost price simply because the referral or experience was needed. Maybe executing certain procedures overnight is needed because it is the only time available, where an update can take place without interfering the business. 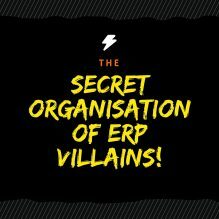 In all my projects I have encountered a true villain, or better yet a secret organisation of ERP villains! My proof? The way they work is the same, so they must be organized. Those organized villains work on a project and they seem to fit seamlessly into your organization. They have a solution for your problems and you might think they are the hero’s I described before. And once this hero status is achieved these villains strike: “They will create a red button!”. A “red button” in your ERP implementation is an evil thing. Basically it comes down to a vital process that simply doesn’t work on its own unless someone presses this red button. Most of the time organizations are not aware that a red button has been implemented since the villain is pushing this red button himself. For example an interface that needs to be processed at a certain time, or data that has to be synchronised to another database, or a pivotal report that needs to be created every Monday morning. In all cases it is about processes that can be done automatically by your ERP system. So the question remains: “Why has this villain implemented a red button to stop the automatic process and pushing it himself to let it continue?”. The reason is simple: “This red button is the guarantee of income of the villain.” At some point the guy will go on a holiday or on a short leave, and of course during his absence hell breaks loose: your interface is not continuing anymore, your report is not created or your data is not synchronised anymore. When this happens you most likely will start an investigation but it will take time for you to find the cause of the issue. And that is when the villain strikes: “He will solve this problem for you” and by doing so he has risen in hero status and he has proven himself irreplaceable. So here you have it. 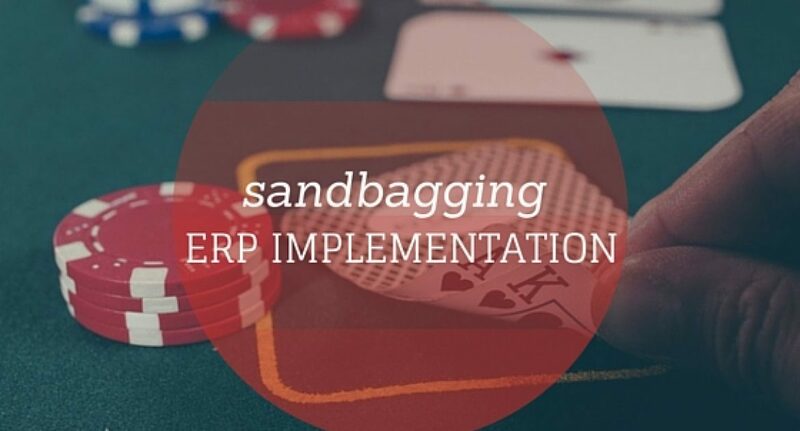 A dirty trick practiced in the ERP world. The question now remains “is there somebody in your organization you can’t let go, because if you do your ERP system will fail?”. If so, you might have a villain running around so give us a call. We have tools that can diagnose your system and we will search for any “red button practices” and identify this villain for you. Kaya Consulting is your superhero! With “powers and abilities far beyond those of mortal men”, Kaya Consulting fights “a never ending battle for truth and justice! “. Get in contact with us and we will fight your villains. Did you encounter these “villains”? Please share your thoughts and experiences in the comments below and don`t forget to subscribe to be the first to receive our latest blog content! I guess it not only applies to ERP world but every skill based work scenario. There is always one such so called Hero in every organisation who first elevates himself to an exalted state by an infallible work ethic, knowledge and discipline. When a situation arises where these heroes are questioned for any reasons the aforementioned Red Button emerges which until then you have no idea existed. Worst, rest of us often get caught unawares even to press that button is not an simple task but requires the creator aka our hero to manipulate it to function as it deigned to be. So, what should be the business strategy here in such situation? Age old wisdom that admonishes us not to put all the eggs in single basket? Or introduce some checks and balance to placate our hero from jumping over the fence? Placing a second rung consultant on the watch, play the diabolical politics of pitting one against another? Or maybe all of the above? It depends a bit on which stage the implementation is at. During the implementation you can indeed use a secondary consultant on the watch, which I recommend anyway doing regardless (see other blogs). If the company is already using a system it is all about detecting anomalies which can be detected using software like continues auditing systems or by people if they know what they are looking for.